Today got off to a rainy start, so most of us decided to get taxis to our shifts. The rest of the city must have had the same idea, because we spent a long, long time trying to flag down taxis. Most already had people in them and others just wouldn’t take us for some reason. After about 45 minutes we eventually had to ask the hotel to flag them down for us and showed up about an hour late to our shift. 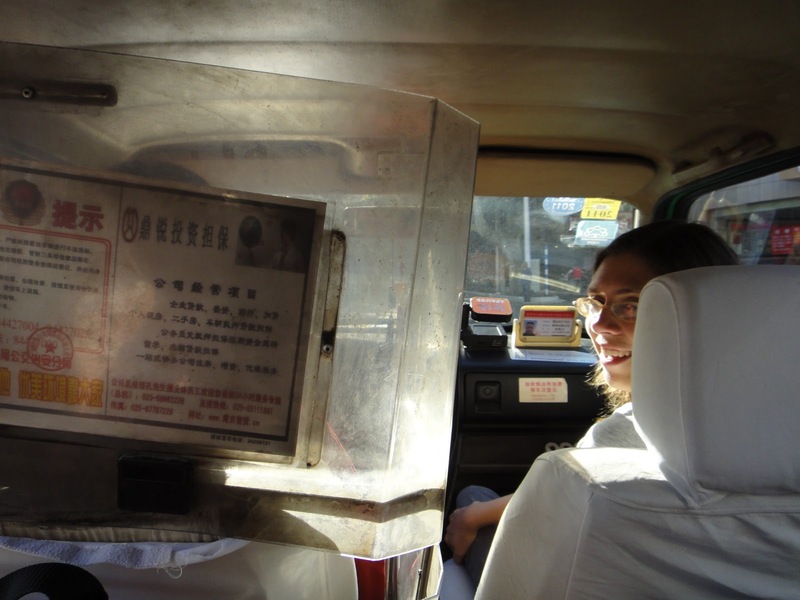 Taxis in China have these interesting hard plastic barricades around the driver, presumably so you can’t interfere with their driving. Was this a problem in the past? This was the second time we had shown up late to our shift and I HATE being late anywhere, especially when I am missing time with an amazing expert like Dr. Qiao. My distress must have been visible, because our group leader called me later in the day to say she had arranged a shuttle for us tomorrow so we would be sure to be on time. I think maybe my deep seated anxiety about being late came out of my Grandfather’s habit of taking me to kindergarten half an hour early when I was young. My whole family places a lot of emphasis on being on time but a half hour is an eternity for a young child. Needless to say, I don’t run on island time. Enough psychoanalysis. The shift itself was very productive; I learned some great strategies for treating allergies since the weather change this week seems to have caused flare ups in a lot of folks. We also saw a patient with itching and another cosmetic case with skin discoloration. Dermatology is one of my prime interests, so I was fascinated by Dr. Qiao’s take on these. 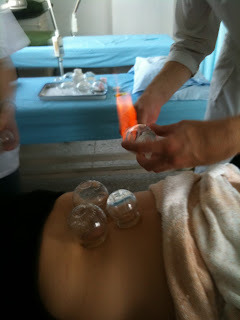 For example, another doctor here had prescribed moxa on the umbilicus to treat chronic allergies and itching. This is a good strategy, but only when symptoms are in remission, so Dr. Qiao suggested cupping on the umbilicus instead. I had never seen that before for itching. I really admire that she sees patterns so clearly and understands the course of the disease so well. This is my goal as well, to treat patients according to their unique presentation and not simply using therapies that treat their disease according to a textbook. Within every disease there are many different ways a person might express that disease depending on their constitution, past treatment etc. After the shift I was feeling at loose ends back at the hotel. I was mentally bemoaning the fact that the group seems to be splintering off and not eating together anymore when the phone rang. 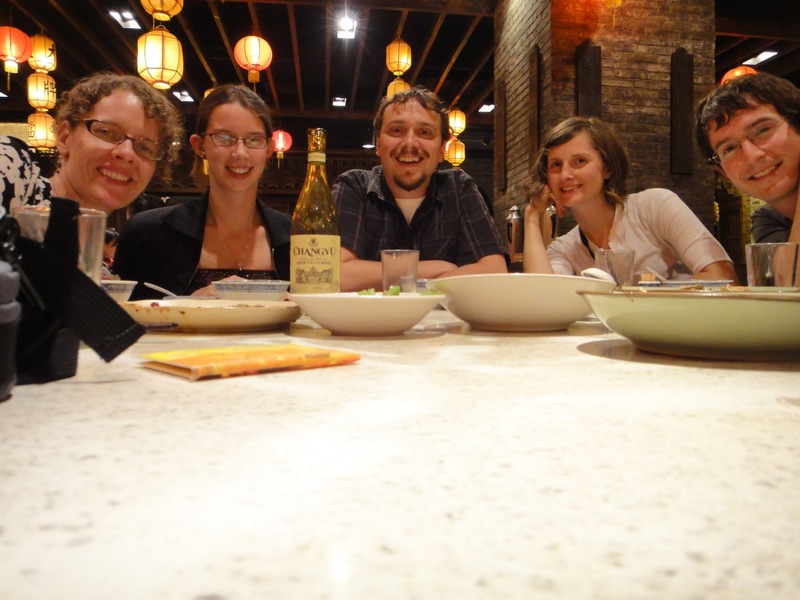 It was Mary Jean, calling to say that there was a Chinese dinner opera at 7pm. My reply? “I am so there”. We took the subway, which is quite nice, and cheap at 2 yuan each way. The dinner opera was Su Zhou style which apparently means 2 people sitting playing instruments and singing. 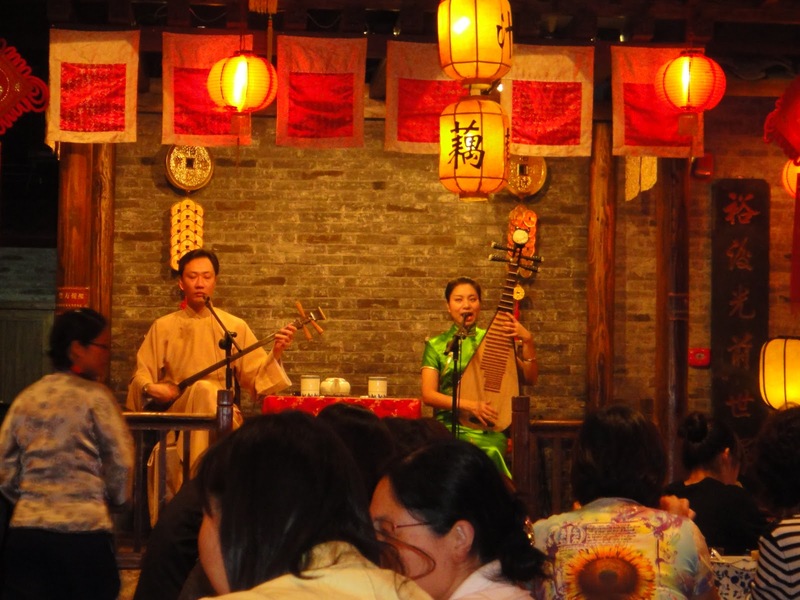 The singing is kind of nasal, but other than that a group member described it as “kind of like Chinese bluegrass”. I am sure we are just horribly uncultured and it’s full of deep meaning. The food was fairly decent, but the menu in English they brought us was 10 years old and horribly inaccurate. I got all excited about fragrant spiced pear which they didn’t have, then curry crab vermicelli which they also didn’t have, then duck which was 46 yuan instead of the 20 yuan listed on the menu. 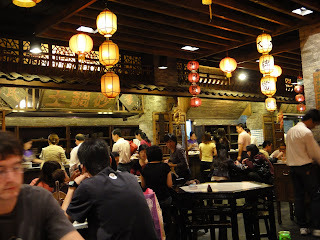 Eventually we got Zhao Zi (aka gyozi or pot stickers) and soup with thousand year old egg, which were good. The other dishes were unremarkable, except for the bitter melon which was true to its name. A middle aged man from Malaysia was sitting at a table near us and kept talking to us. He had a funny sort of Brittish accent and his side of the conversation went something like this: “Excuse me miss, are you from England? My companions and I have ordered some local alcohol and it is very strong, we can’t drink it all. What are those marks on your back? And did you have a complaint when you got that done? And did it in fact work? Did it go away? And how much did you pay for that? I shall have to have that done. 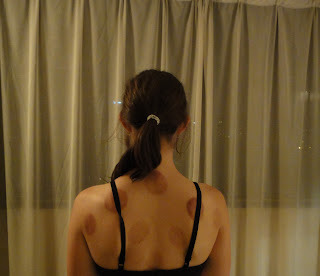 The marks he was referring to were from the cupping a few days prior, which had actually improved my cough, making it more productive and less frequent. His companions were three young women who looked quite bored (we wondered if he might have paid them to keep him company). At the end of the meal he gave us a part bottle of white wine they had not finished and we all agreed he was quite the character. We found some gelato on the way back to the subway as well. We had to fight to order because in China people don’t really do the whole line business, they just shove in and ask loudly for what they want. Eventually I was able to order a rosalia and honey almond gelato, which is the best flavor combination. It’s just a fact. All in all, it was a satisfying evening.